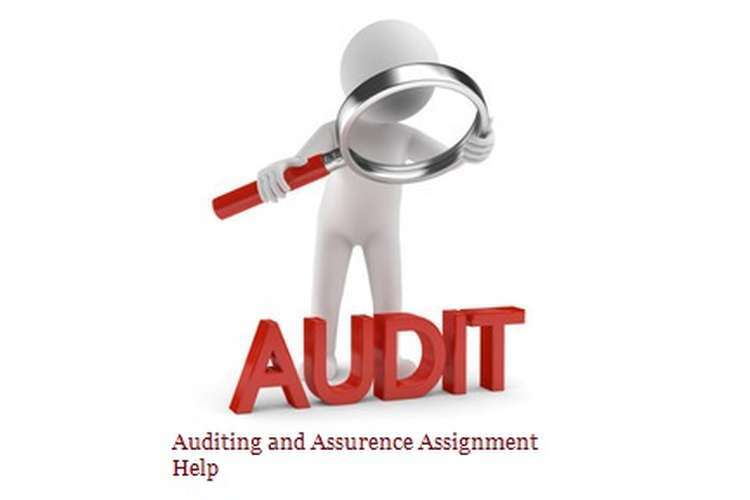 This auditing and assurance assignment help assesses the stages of conducting audit program in KGC Ltd, which is operating in the mining industry. All the essential steps of the audit program are described in this study. Audit process helps the KGC Ltd to make a decision on the inherent risk, control risk and detection risk are classified in this case study. All the factors of KGC Ltd are required in the audit program must classified on this study. The revaluation of assets in KGC Ltd is also analyzed depending on the case study. The revaluation method for PPE assets including historic and fair market valuation methods is identified in the study. Discussion is on the future scope of mining project industry has discussed in details. The discussion on the social responsibility and the environmental contributions has discussed on this study. Discussion related to the issue of share are also been discussed. Auditor must analyze the financial reporting framework before accepting the audit work. The auditor will not accept any type of engagement from the client side while making an audit. The auditor must analyze the financial reporting framework which will help them to prepared the financial statements which also follows the regulation or law that is applicable for the financial reporting framework. The audit firm would investigate their client, his owner and the way of business activity. Which will help the audit firm to know whether there has any issue related with client? According to Kumar and Sharma (2015, p.12), the auditor will accept the financial reporting framework for the preparation financial statement. This matter would be pointed out before accepting the audit. In the present scenario KGN mine at PNG has large number of social and environmental issue which was estimated, and the risk involvement is very high. According to the case study of KGC Ltd, the auditors and accountant of the company has made mistake, which results in mismatch of material in the financial statement. It gives a clear ideas about there is a mismatch of material in their financial statement. According to the given scenario, the KGC mine PNG incurred high risk elements. The inherent risk, control risk and detective risk of KGC Ltd are at 80% and is 10% and 50% respectively. Hence it gives a clear meaning about the mismatch with their materials in their financial statement of the company. From the risk elements the auditor will get to know their business insight and their previous taken by the business. KGC and PNG previously used an unfair approach for presenting the financial statements. Hence. It can be inferred that acceptance of audit role in KGC Ltd is not a viable option for the auditors. The ethical business practice in KGC Ltd is required to be maintained for getting effective auditing assurance assessment. According to the case study of KGC Ltd, it is disclosed that the company is facing problem for the political agitation in Indonesia. The important concern for KGC Ltd is political instability in Indonesia. Therefore, audit program for KGC Ltd will capture the political instability at the present circumstances. The company KGC Ltd has to include the environment and the social aspects of the business according to the present business environment. The waste materials of KGC Ltd have been disposed of into the river of Papua. The river water is used by the local people of Papua. As a result, the health hazards of life are experienced by the local people of Papua. If the effective recycling process is implemented for recycling the sledges of KGC Ltd, the company will generate $6 billion to $60 billion according to this study. Therefore, KGC Ltd will create cost effectiveness for recycling of their waste materials, which will be taken consideration by the audit team. The disposal mechanism of KGC Ltd is also been included in their audit program. The financial balance of KGC Ltd must be recorded in their auditing assurance assessment program. KGC Ltd is paying A$4 billion as the royalty payment for using the land in Papua. The revenue of KGC Ltd is at A$ 30 billion, which can be used for recycling the sledges of KGC Ltd. Therefore, the auditors in KGC Ltd are required to verify the financial balance in terms of managing waste material and profitability in future. The audit program requires enclosing the assessment of environmental threats, government responses to the threat of KGC ltd, which helps to identify the audit topic and their suitable approaches. The PPE assets of KGC Ltd are evaluated on the basis of historical cost approach rather than the fair valuation method. The fair market value of PPE asset may differ from the historic cost of the PPE assets. Historical cost can be the original purchase price of the assets due to fall in assessment of the assets actual value. Therefore, the fair market value is the value on which the buyer and seller are ready to buy or sell their assets in the market and this will also measured by the audit team of the company. The depreciation assets value approach of KGC Ltd, analyzed by the audit team to know whether the firm is depreciating the assets value with the help of historical cost. On this analytical decision the KGC Ltd has a comprehensive income statement revaluation will be charged as an expenses. Gray and Laughlin (2012, p.229) cited that the valuation PPE assets of the firm will be checked by the audit program whether this situation is appropriate with the present situation. According to this approach the valuation of asset in KGC Ltd, which is in terms of market value methods or the depreciation methods that will be important concern for the audit team? The appropriate valuation of PPE assets are required to be assessed by the auditors for mitigating the inherent risk associated with PPE asset. The revaluation of PPE assets in KGC Ltd are required to be recognized by assessing the sale of assets or transfer of right of the property. Ramsay et al. (2013, p.15) suggested that the cost, which are not recognized as the capitalised financing cost also required to be taken into account for revaluation of PPE assets. The revaluation of PPE assets in KGC Ltd by the auditors is required to differentiate between the short and the long term lease holding of the PPE assets. However, Salami and Husain (2011, p.65) cited that the revaluation of PPE assets is required to be done based on the specified accounting standard adopted by all the business organization within a particular region. The depreciation value for KGC Ltd can be deducted from the carrying cost of the PPE assets. The discounted cash flow method can also be applied in KGC Ltd, if the PPE assets of the firm cannot be recognized by the fair value approach. The increase of the valuation of PPE assets is to be credited in the comprehensive income statement of KGC Ltd and it will also be shown in the liability side of the balance sheet as the revaluation reserve. Gray and Laughlin (2012, p.229) mentioned argued that the revaluation reserve of the business is added with the equity capital of the business. On the contrary, the income generated from the sale of PPE assets will not be treated as revaluation reserve and it will be shown in the income side of comprehensive income statement of KGC Ltd. The earnings of mining industry is much higher compared to other industries and it is just behind the oil industry. Hence, KGC Ltd can expect long term profitability in mining industry of Australia in future. It is revealed from the case study that KGC Ltd has not maintained its corporate social responsibility towards its stakeholders. The company has been dumping the waste materials in the river, which is used by the people living in Papua. The water of Papua river is used by the common people as drinking, harvesting and fishing. Hence, it can be inferred that KGC Ltd is violating the environmental protection laws and regulation. Stuart (2012, p. 36) argued that the environmentally sustainable business can carry on the business operation in future efficiently. Hence, it is evident from the case study that KGC Ltd has taken initiatives to dump the waste material in the ocean without applying any recycling process. It can be inferred that signing off the statement of KGC Ltd that it is conducting environment friendly business is not justified at all. The company may face pressure from the Government to withhold the business in future and it may affect the investor’s sentiment in long run. KGC Ltd wanted to raise the capital by raising the finance by issuing the equity capital. KGC Ltd has mentioned that the PNG operation is its core business and it is not exposed to any kind of business risk. The statement of KGC Ltd in the prospectus is not true and fair. It is found in the case study that KGC ltd is not conducting sustainable business practices. The business of KGC Ltd is exposed to multiple risk including the environmental risk, business risk and financial risk. Although KGC Ltd is the major firm in Papua region, its business process is not viable according to the present circumstances. De Villiers and Dumay (2013, p.877) argued that sustainable business practices attracts the investors for its long terms growth prospect and get higher valuation. Hence, higher profitability may not be achieved by KGC Ltd in long run. In this case, signing off the prospectus of KGC Ltd is not effective investment decision at present circumstances. The stages of the audit program in KGC Ltd are analyzed in details in the study. It is found in the study that the risk associated with the business process of KGC Ltd is required to be estimated by the auditors. It is revealed in the analysis that KGC ltd has not declared its total risk exposure in the strategic report appropriately. The auditors need not to accept auditing proposal in KGC Ltd for its unfair business practices. The requirement of the audit program for KGC ltd in terms of political instability, environmental and social impacts, management of toxic elements are also identified in the study. The revaluation of PPE assets of KGC Ltd is evaluated for effective assessment. The long term growth prospect of mining industry in Australia is also captured during the analysis. However signing of prospectus of KGC Ltd is not viable for the investors at present. Kumar, R. and Sharma, V., (2015). Auditing: Principles and Practice. PHI Learning Pvt. Ltd..
Lonsdale, J., Wilkins, P. and Ling, T. eds., (2011). Performance auditing: Contributing to accountability in democratic government. Edward Elgar Publishing. Ramsay, R.J., Sinason, D.H., Strawser, J.R. and Thibodeau, J.C., (2013).Auditing and assurance services. New York, NY: McGraw-Hill/Irwin.